If we had to pick a season that gives us the most sartorial inspiration, we’d probably pick spring. It’s the time of year when everyone steps their style game up, swapping heavy coats for lighter blazers and layering expertise. And while we love the latest It bags and jewelry just as much as the next girl, as far as we’re concerned, this spring’s best accessory has nothing to do with fashion at all. Consider this set your core products for spring—the items you’ll use day and night for clean, refreshed skin. 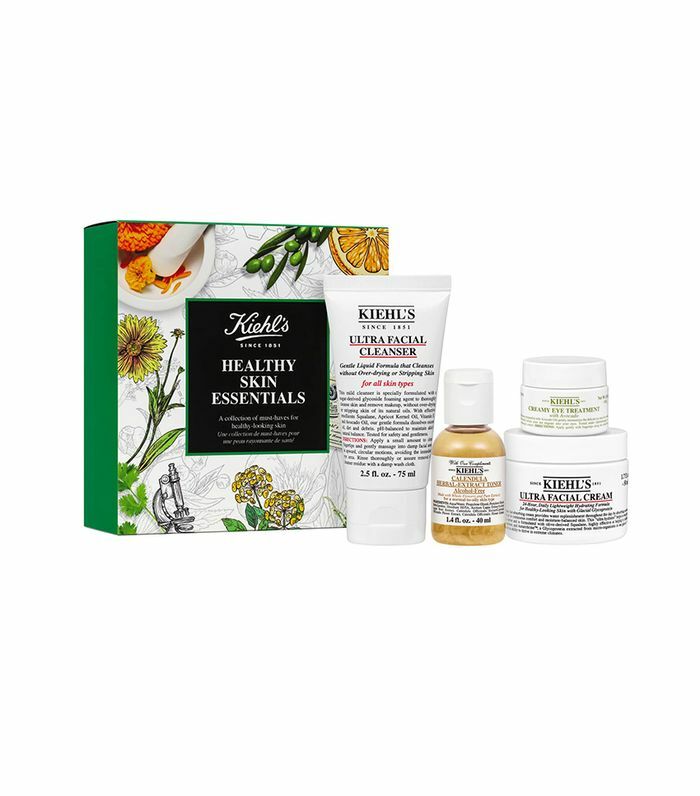 It includes a gentle foaming cleanser that washes away oil and dirt, a calendula-enriched facial toner that balances skin, a 24-hour cream that keeps everything hydrated, and a creamy avocado-infused eye treatment. Once your essentials are nailed down, it’s time to think of other areas that need some TLC. Firstly, “tech neck.” If you’re not familiar with the term, let us explain: Think about how long you spend looking down at your phone or laptop… It can have an impact on your neck, décolletage, and jawline. This three-phase treatment was designed to repair and prevent repercussions of technology-driven aging, with a triple blend of fatty acids and AHAs that help correct areas of uneven skin tone and texture while visibly lifting the neckline over 45 days. All you have to do is apply one pump to your neck and chest in the evening. Retinol is one of the most celebrated ingredients in skincare—and for good reason. It helps protect skin from fine lines and dark spots. This treatment in particular is a high-grade pure retinol formula that helps accelerate skin’s natural cell turnover, leading to a more radiant-looking complexion after just one use. In the evening before moisturizing, massage a pea-sized amount over clean, dry skin. We’re going to assume you’re using a retinol product of some sort, which means you now need a really good moisturizer. This dermatologist-developed one softens, smooths, and improves skin, leaving it glowing and hydrated. On the days where you feel like your skin just needs some extra love, opt for an at-home device, like this one, that provides gentle bursts of microcurrent energy to instantly target fine lines and wrinkles. After cleansing, apply a thin layer of the included serum to your skin, and use a a feathering technique—basically a quick-erasing motion—to smooth away the look of fine lines and wrinkles around the eyes, mouth, forehead, and nasolabial folds. Treat each area for three minutes up to two times a day. 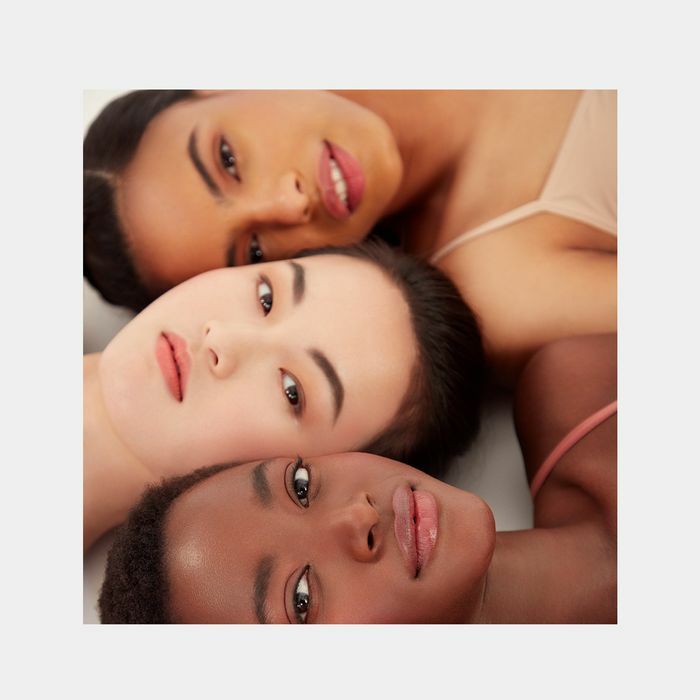 Now that your skincare routine is under control, it’s time to think about your makeup—specifically, foundation. You might think a matte formula is a little much for spring, but this long-wearing option with SPF 35 actually keeps skin from drying, thanks to pansy extract. It’s also infused with rose-hip extract, which helps protect skin from outside aggressors and reduces the appearance of pores. It gives skin a nice amount of coverage and a matte finish without looking too heavy. If you want coverage without a matte finish, this formula creates a smooth, flawless base without drying out the skin. It’s infused with light-refracting microspheres that blur, so you’re really able to build it up depending on how much coverage you want. For more, use a brush with densely packed bristles, and for something more luminous, use a damp makeup sponge. If you prefer powder to liquid, consider this on-the-go compact your jam. The formula goes from a balm to a cream powder that melts into skin. The mineral perlite combines soft, spherical powders that will give your complexion long-lasting, flawless coverage.